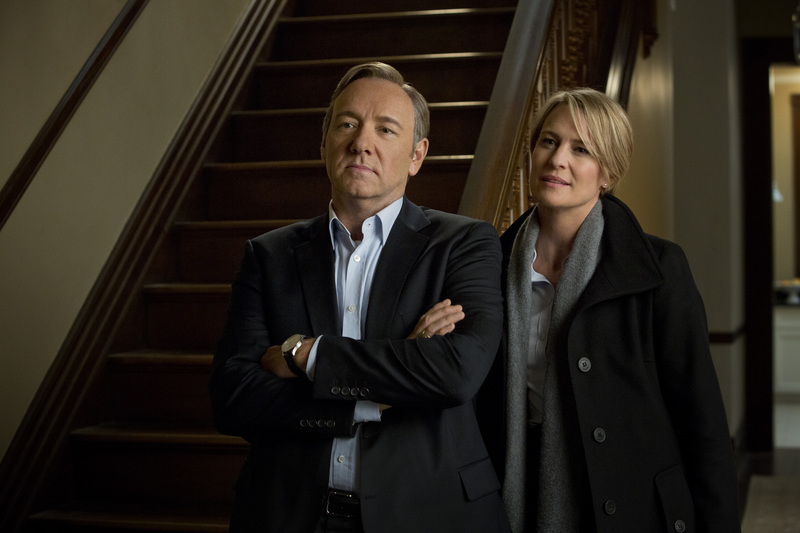 I’m sure you probably filled most of your weekend with episodes from Season 3 of “House of Cards”. And if you didn’t, why not? Do you hate enjoying an awesome series? Do you reside under a rock that doesn’t have internet? I mean, I understand living under a rock, but no internet? That’s barbaric. Regardless, if you don’t watch “House of Cards”, let me just sum it up as the story of an incredibly ambitious politician, played by Keyser Söze from the “Usual Suspects”, and his rise (and falls) surrounding the US Presidency. The central theme in the show concerns what one person is willing to do to get what they want and the consequences of those actions. And there are certainly a LOT of consequences in the show. And the same is true for the NFL in free agency. We’ve seen a lot of boneheaded moves during free agency in the past, like signing Josh McCown, both last year AND this year. And those teams had to pay the consequences. 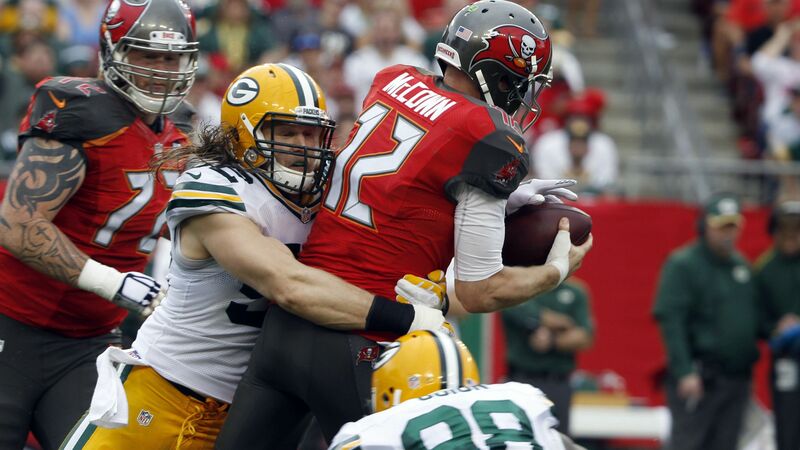 Like how the Tampa Bay Buccaneers only won one game with McCown at the helm. So that’s like $5 million per game won. Pretty good deal, Mr. McCown. 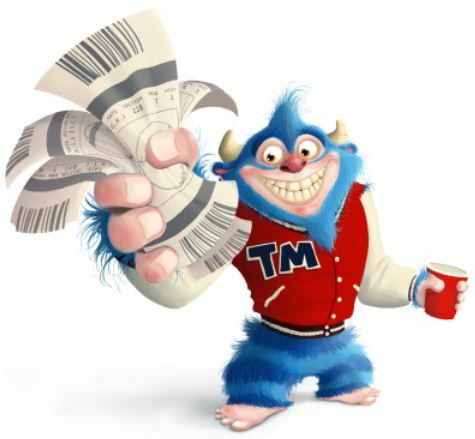 Anyway, the first of several deadlines in free agency is approaching, as the deadline for the NFL franchise tag is 4 PM on Monday, March 2. Of course, after the tag is applied, each team still has until July 15 to strike a long-term deal, a delaying tactic that many teams might opt for. But let’s take a closer look at which wide receivers are likely to get tagged and which are not, whether its to lock the player up, or to bide time for a longer deal. 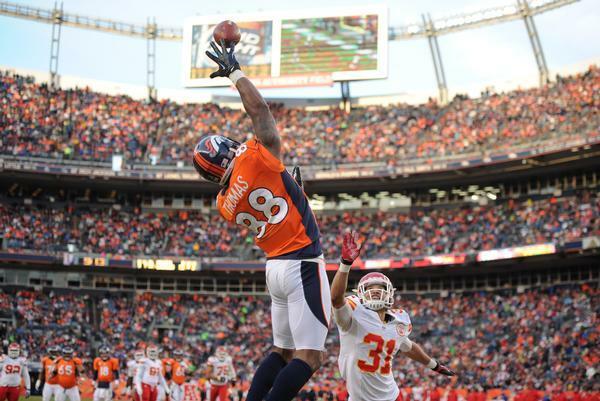 Clearly, Demaryius Thomas is belle of the ball among free agency wide receivers. He’d draw quite a contract if he actually got there. And the Denver Broncos definitely want to keep him in light of his franchise record 1,619 yards in 2014. But with the franchise tag deadline looming, it appears that the Broncos haven’t made progress signing Thomas to a long-term deal. Of course, getting the franchise tag as a wide receiver isn’t all that bad. Thomas would still net around $13 million. And we already know that, if a deal doesn’t get done, the Broncos are committed using the franchise tag on Thomas. John Elway confirms the Broncos will use franchise tag on Demaryius Thomas if both sides can't reach new deal immediately. However, there is still concern regarding the cap hit from Thomas (and from Julius Thomas), which may be why there’s been such prolonged negotiation with Payton Manning, as a restructure might be necessary (but first and foremost, Payton definitely needs to come back). It’s also critical that Demaryius Thomas is retained, so its good that the Denver Post reports that it’s all but a certainty that the franchise tag will be used if no deal is reached. So you can all now release your collective breaths, Broncos fans. We’ve discussed several times now how Randall Cobb could be the most likely of the big wide receiver candidates to get out to free agency. 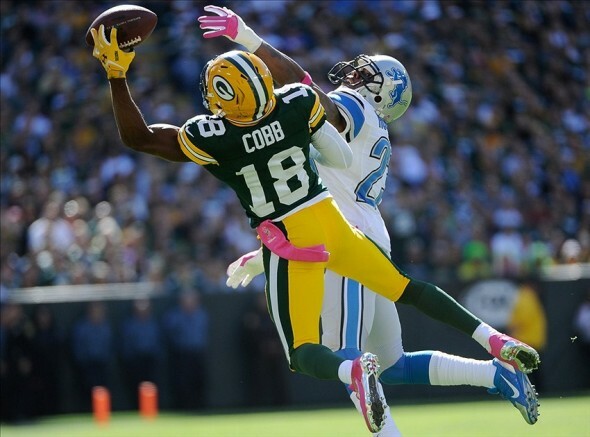 At just 24, Cobb could be cornerstone of the Packers future, so a long term deal makes sense. However, ESPN’s Rob Demovsky reported that “no deal is imminent” and there apparently hasn’t been any movement in contract negotiations. Cobb is reportedly looking for around $9 million per year and the Packers have room under the cap to pay it. But the Packers also have younger options that they could consider moving forward with, such as the promising Davante Adams. It’s now been reported by ESPN Wisconsin’s Jason Wilde, according to his sources, that the Packers are continuing to pursue re-signing Cobb, but that negotiations will “go down to the final hours” before free agency starts on March 10. The franchise tag is an option, though, particularly to buy time, so it’ll be interesting to see what happens. Jeremy Maclin is an interesting case. He hasn’t become the consistent option the Eagles were hoping for when drafting him 19th overall in 2009. But he did have a standout season in 2014, going to his first ever Pro Bowl. So the Eagles would do well to hold on to him for 2015. And the Philadelphia Inquirer’s Jeff McLane has reported that the two are not “significantly far apart” in negotiations. Of course, no contract is in place yet and the clock is ticking. The Eagles have the franchise tag available, but may not be keen on the estimated $12.8 million that goes along with it. CSN Philly’s Geoff Mosher believes the Eagles will use the tag on Monday if a long-term deal isn’t completed. McLane believes the Eagles “would probably only use the tag to buy time and keep Maclin off the market.” And that certainly makes sense to me. And this isn’t a surprise. 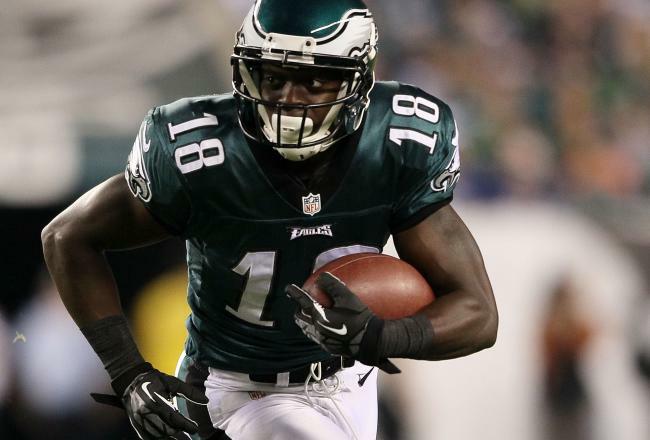 Maclin isn’t in a rush to get a long-term deal completed because he knows the free agency market is hurting for wide receivers. He took a risk last year with a one-year deal, and struck gold. If he can parlay his 2014 into a better deal, he may very well do it. I don’t think there was any doubt with this one. 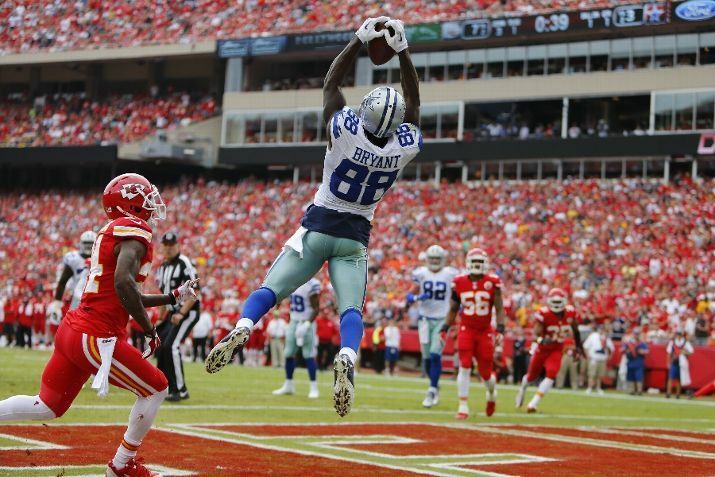 We knew from the beginning that the Cowboys wouldn’t let Dez Bryant get to free agency. And now it’s been confirmed by Cowboys executive vice president Stephen Jones that Dallas will use the franchise tag on Bryant by Monday’s deadline if a long term deal isn’t completed. Well, first, it might be unfair to make the comparison to Mike Wallace. 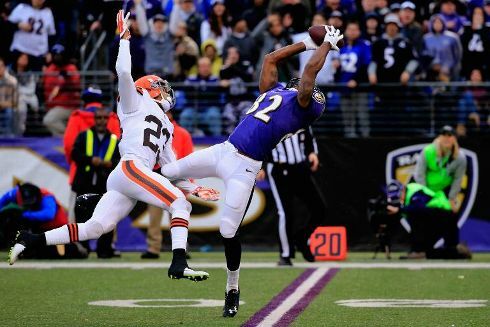 But, in all honesty, this is a pretty clear sign that the Ravens don’t want to pay Smith what he thinks he can get in the open market. And if they don’t want to pay $10 million, they certainly wouldn’t want to use the franchise tag on Smith. The most likely scenario is that Thomas, Bryant and Maclin get the tag, while Cobb and Smith do not. But for all these receivers, regardless of the franchise tag, we all probably won’t have the complete picture until September. Of course, by then we might have other things to worry about. Like waiting for season 4 of “House of Cards”.